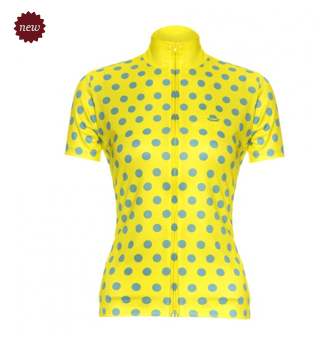 We are totally loving these new women’s jerseys at Chapeau! From sophisticated navy blues to bold stripes, even bright yellow and green polka dots, there isn’t a jersey here that succumbs to the ‘pink it and shrink it’ ethos of a lot of cycling clothes manufacturers. Hallulejah!